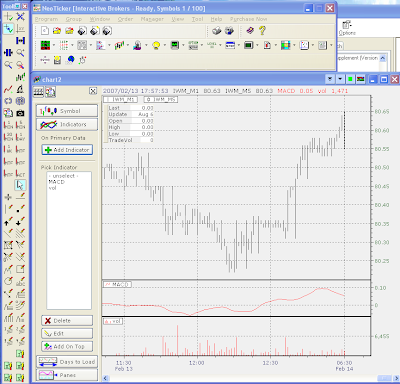 Idea's: Neoticker, Tradestation, & Top Gun software. I'm trying the free trial of NeoTicker right now. The charts take a long time to load. My primary goal of using NT would be able to make my own index based on a basket of stocks and to be able to backtest strategies. I dont like all the windows that pop up after I close a window asking if I want to save. Visually the charts aren't nice as looking as what I'm use to seeing with quotetracker. I like the backtesting feature, but things look hard to be able to backtest my own strategy and make my own index. Maybe I can't get some help on these 2 things to make me be a possible buyer of this expensive product.